Terrific photo. I really like the perspective and the feeling of movement. I wish I were on that scooter! Thanks, Mike! 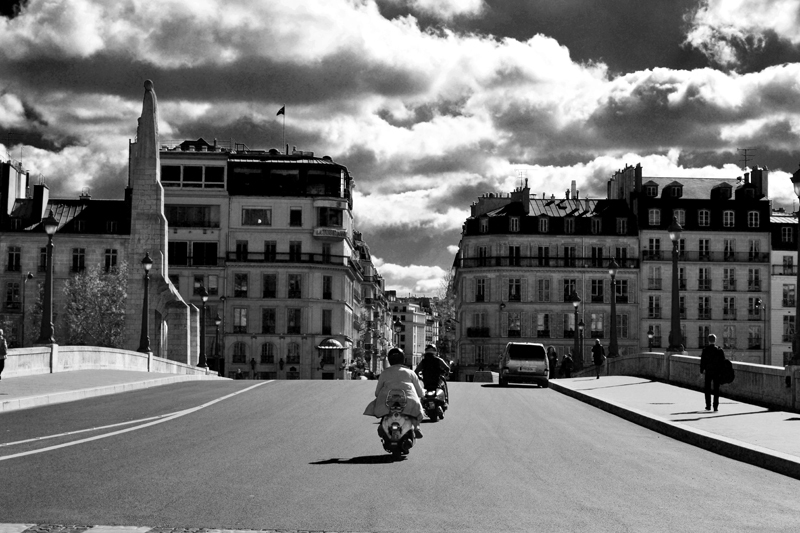 You should travel to Paris and rent a scooter! Hola, Cornelia. Hoy estamos a 27 grados y esos claroscuros me han refrescado. ciao! the clouds render the shot just surreal. just the best shot.